This was a project close to my heart as Meghan was someone I worked with shortly before she suddenly passed away. 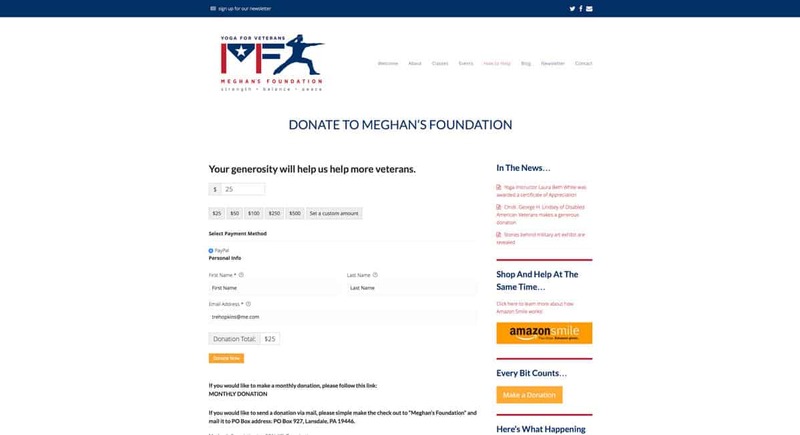 In her honor, her parents asked me to help organize a website that would reach out to vets with PTSD, which was something Meghan felt strongly about. This very symbolic and All-American look was settled on. 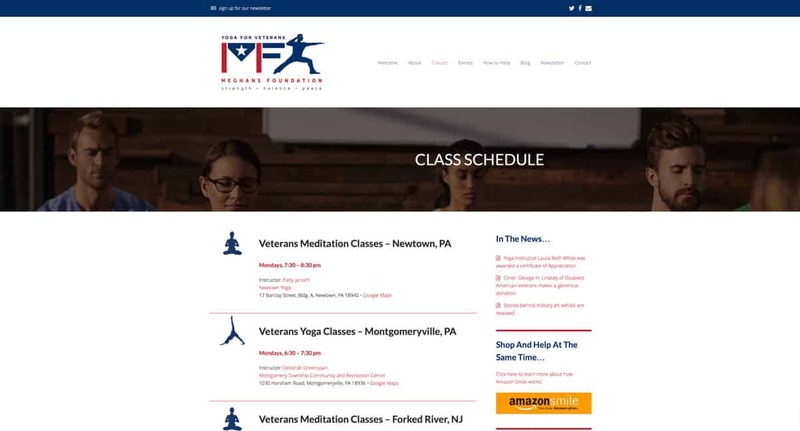 The website hosts valuable information about the benefits of meditation and yoga for those suffering with PTSD as well giving information on classes offered in various parts of the country by their trusted teachers. 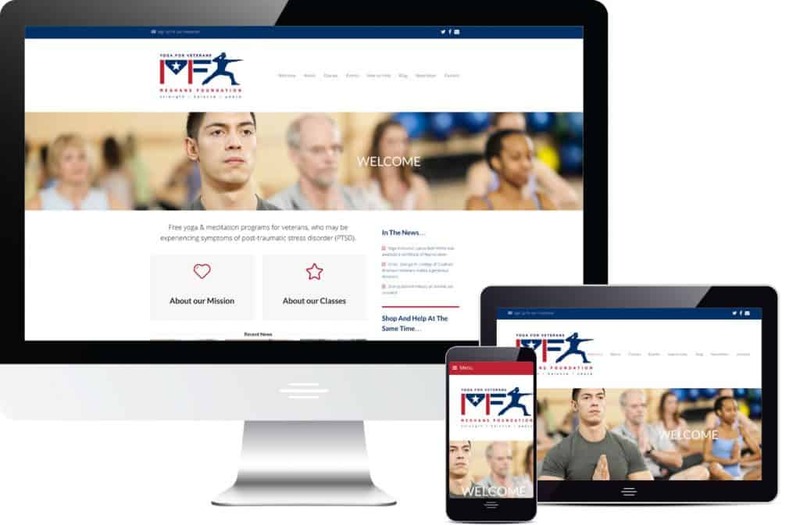 Without donations none of it would not be possible, so we added an easy online way to give. 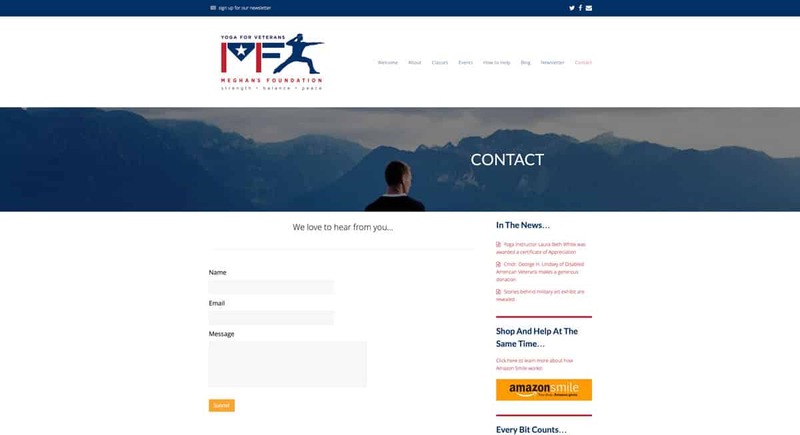 An email newsletter was created so that those who sign up online can receive important announcements, events information and other news from the Foundation. Of course, if they can’t be found on search engines people would be aware of wonderful the work they are doing. 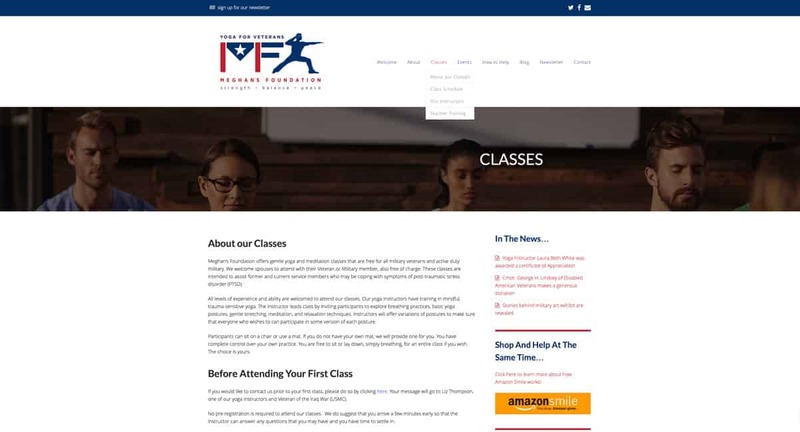 Advanced Search Engine Optimization was carried out and now their rankings have improved significantly.